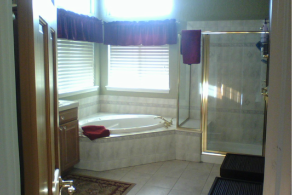 Everyone likes to see successful remodels, so here are some photos of our projects before we started and after completion. Sink facing the wall. 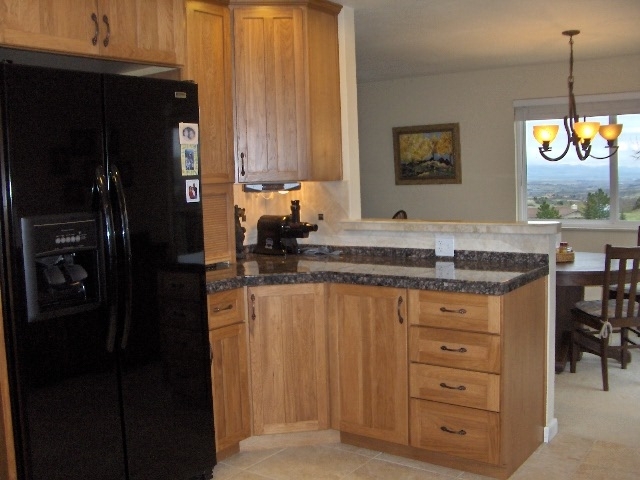 Short cabinets with wasted space above in a kitchen with very little storage space. 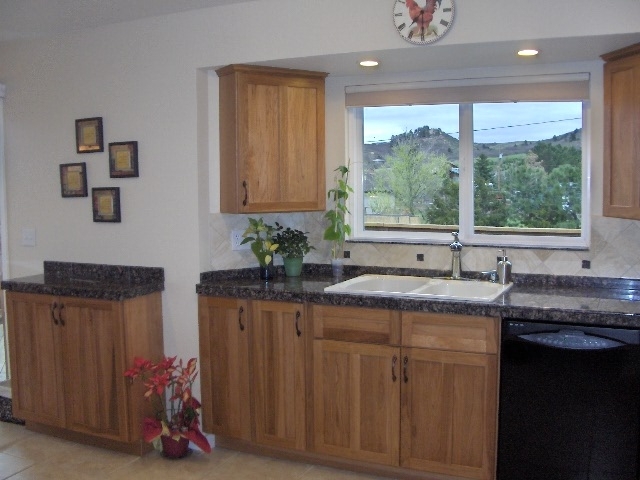 We removed the soffit, added 42" cabinets and moved the sink for a great view! 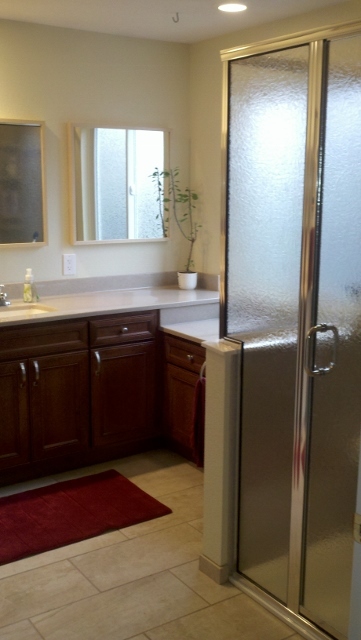 Sliding glass door moved to the dining room and replaced with a window and sink. 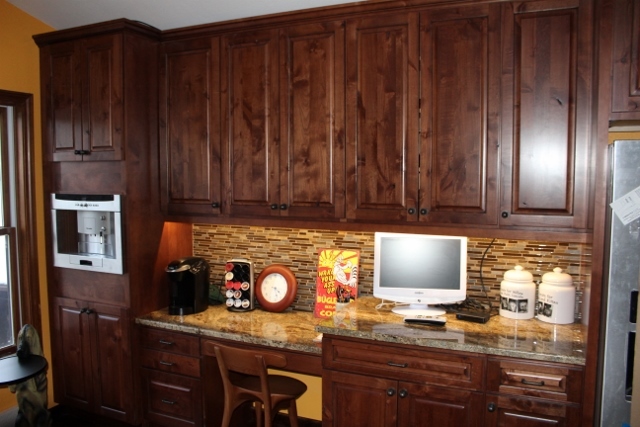 Shallow cabinets used on angled walls to maximize storage. We opened up the wall to see the beautiful, mountain view and to bring natural light into the kitchen. We also gave the corner an angle to increase counter space. 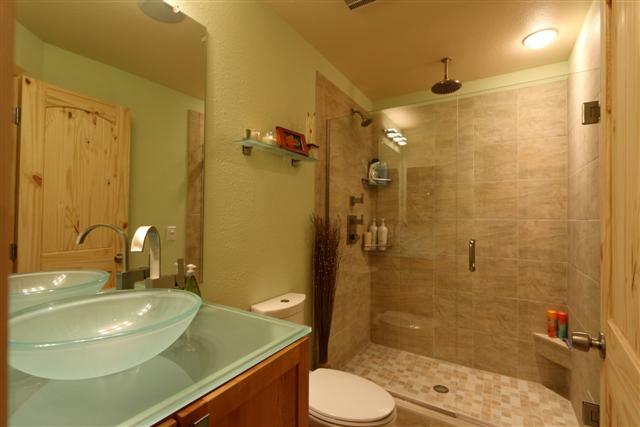 This was a small, outdated bathroom. 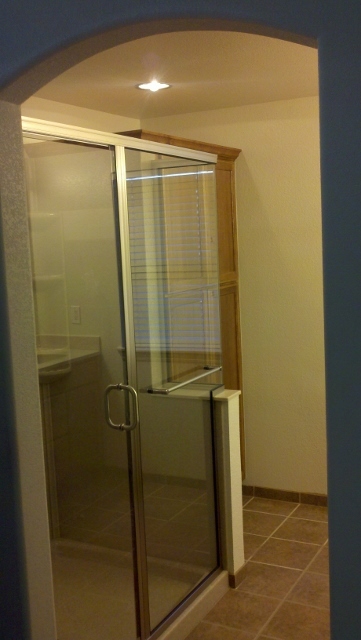 We converted the tub to a large shower with a frameless shower door to give the room a larger feel. No explanation needed. It was just...bad. 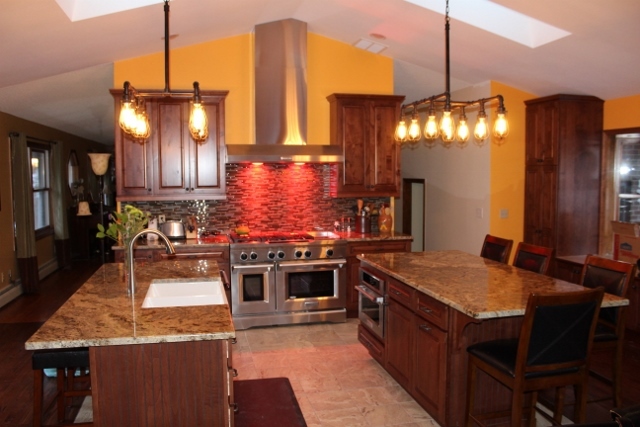 We removed the large island and created 2 new ones with sitting areas to create a pathway to the dining area. The far wall was changed to include a cappuccino machine, desk area and the refrigerator. 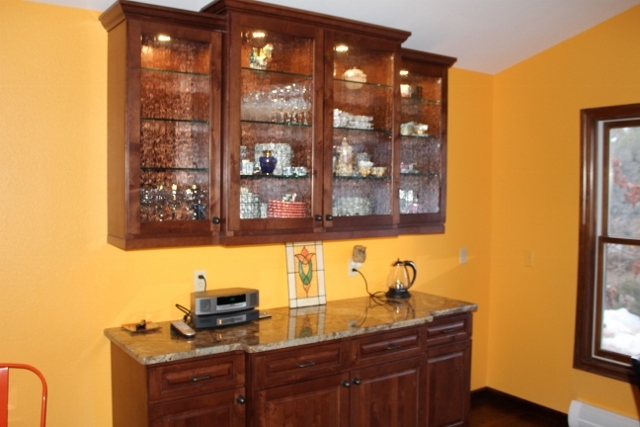 The long row of cabinets was converted into a more visually appealing hutch. We also updated the pantry (left side) and window seat. 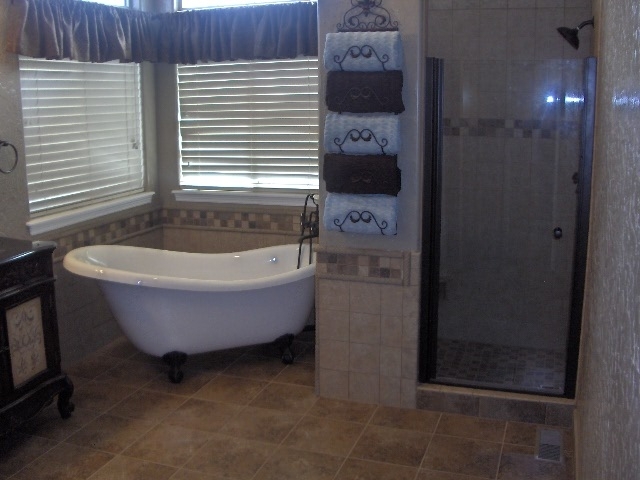 We removed the over bearing tub with a classic claw foot tub and a custom tile shower. Great example of a cosmetic facelift. We updated the wall tile and and added a mosaic inlay. 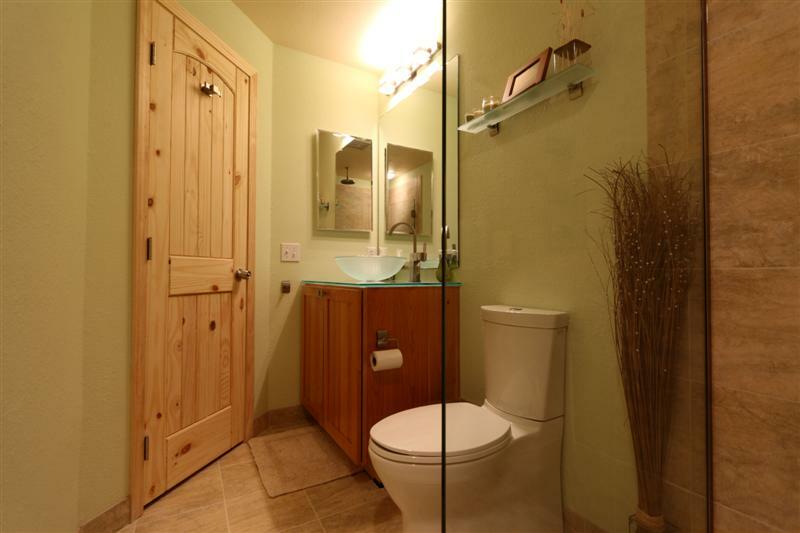 We also replaced the vanity and flooring to bring this bathroom into the 21st century. This was a rental property on a tight budget. 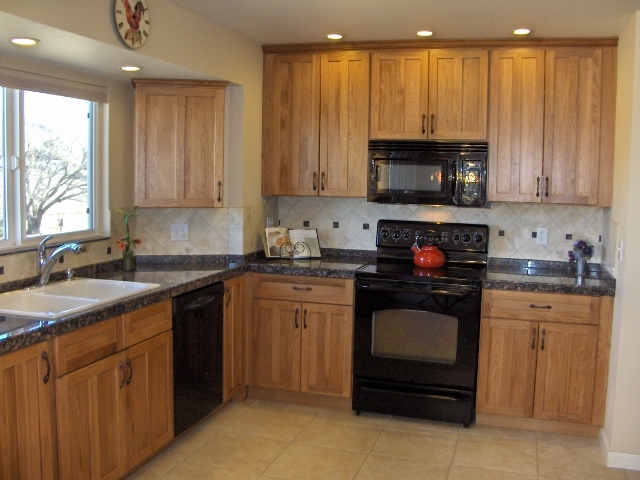 We used our lower priced, but great looking cabinets for this one.